Earth Day teaches people that the planet belongs to everyone, so everyone is equally responsible for protecting it. Although Earth Day is an environmental celebration, our team at Mandeville Orthodontics wants to remind you that you don't have to wait until then to make changes that will allow you and your family to live a greener life. 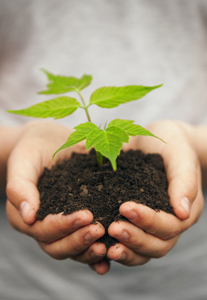 Happy Earth Day from the team at Mandeville Orthodontics. The alarm sounds in the morning, you wake up and realize "I forgot to wear my retainer!" If this only happened once, don't panic. Missing one night with a retainer is unlikely to cause significant teeth movement. However, if it has happened often, give our Mandeville office a call to make sure your teeth haven’t shifted position. 1. Write down the instructions we give you for wearing the retainer, whether you should wear it all day or at night, or just a few times a week. Writing things out like this helps set the schedule in your memory. 2. Clean the retainer when you take it out each time. If you don’t you may not have time when you’re rushing to get to work or school to clean it properly and may be tempted not to wear it. 3. Put a note on your mirror or in your purse or wallet reminding you to wear your retainer. 4. Set an alarm on your mobile phone to remind you when it’s time to put the retainer in. If you have email with a calendar you can set up daily reminders, too. 5. Always put the retainer in its case when you take it out to eat or sleep. You’ll reduce your risk for losing it or accidentally throwing it away. 6. If you don’t have to wear the retainer every day, you can use some recurring events to help you remember. With this system for example, watching your favorite weekly TV show, laundry day, or family pizza night can all serve as reminders that you should put in your retainer. 7. Don’t be shy about asking for help if you’re forgetful. Assure your spouse, parents, siblings, or roommates that you won’t consider if nagging if they remind you to wear your retainer. 8. Surf online for examples of how teeth can shift when retainers are not properly used. Those stories can serve as timely warning not to let the same thing happen to you! Remember, you can always call our Mandeville office if you feel your retainer is uncomfortable or painful. We'll work with you to protect your smile! When you think of orthodontic treatment, you may automatically assume that it only relates to older children and teens with alignment and spacing issues. But this isn’t the case: Orthodontic treatment at Mandeville Orthodontics offers many benefits when applied at a young age. By considering orthodontic treatment at a younger age, Dr. B.J. Thomas-Blair and our staff are able to identify your child’s alignment issues early on, and are able to intervene in order to provide treatment as the teeth begin to develop. It is important to start dental care early, not only for proper dental health and the cosmetic benefits, but to improve a child’s overall health as well. Dr. B.J. Thomas-Blair and our staff are able to see how the teeth first erupt and know right away whether or not your child will need to have braces later on. Early treatment means fewer procedures, cleaner teeth, and less expense. Orthodontists like Dr. B.J. 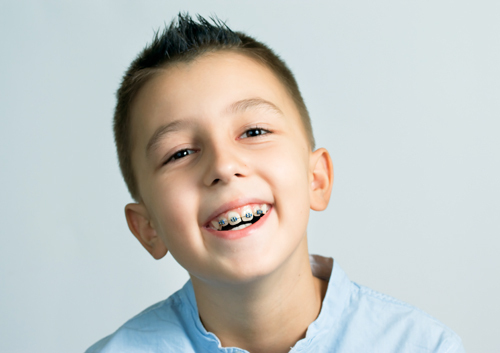 Thomas-Blair recommend a first orthodontic visit and evaluation for your child around the age of seven. We will evaluate your child’s jaw and facial development and make sure that there is enough room in the mouth for the permanent teeth when they arrive. One of the recommendations we might make for early treatment is the use of a palatal expander. If you are unfamiliar with this device, let’s take a closer look at why it’s necessary and what exactly it does. 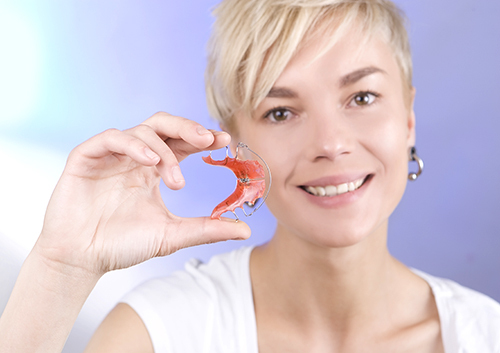 There are several types of expanders available at our Mandeville office. These are custom-made appliances, commonly attached between the upper teeth on each side of the jaw. The two halves of the device are connected with a screw-type mechanism that can be adjusted to widen the upper palate and dental arch with gentle pressure. This is a gradual process, with small adjustments usually made once or twice a day to slowly move the bones further apart. As weeks go by, you will notice a successful change in the spacing of the teeth. Your child might even develop a gap in the front teeth, which is normal and will generally close on its own. If you would like more detailed information, talk to Dr. B.J. Thomas-Blair about the palate expander. We can tell you what to expect from this treatment if we think it is best for your child’s unique needs, and how to make it as easy as possible for your child. 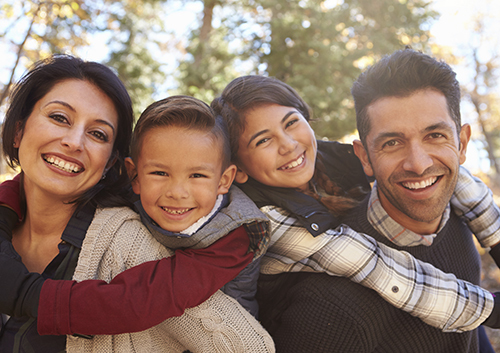 Our goal is to provide your child with the healthiest teeth and bite possible, always making use of treatments that are both gentle and effective.